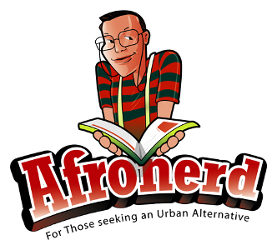 Maher Hates Comix; Cereal wants a Serial; Detective Comics B4 Bats-Grind 6pm ET - Afronerd: The Blerd Revolution Has Begun! Before you stuff your face with turkey this holiday season, why not check out the latest musings of Afronerd Radio's Grindhouse? The infamous podcast airs every Sunday at 6pm eastern. Your favorite digital discussants will be waxing about the following issues: popular political humorist, Bill Maher in a recent blog had some harsh opinions on comic book culture after Stan Lee's passing; the Marvel way seems to have infected the General Mills cereal brand as the company wants to develop an interconnected universe to accommodate their respective mascots (Franken Berry, Boo Berry and Count Chocula) via their newly launched website, WorkWithTheMonsters.com; a reprint omnibus of Detective Comics (issues 1 thru 26) was purportedly canned by DC due to the book's old school homage to racism (proving America wasn't quite that great in the late 30s); Dburt FINALLY addresses his thoughts about "fake news" as it applies to Black people and how it should be co-opted from POTUS; David Walker and Sanford Greene's Bitter Root #1 starts off with a bang and it would be criminal if we didn't see a live action component to this comic; more stories of DNWB (Doing Nothing While Black) and having 911 called (wearing hoodies in malls and using WIFI at Dunkin Donuts); picking up what we failed to cover per the last show,Wired highlights the human brain mapping work of noted neuroscientist, Karl Friston who may hold the key to true AI; ComicBookMovie.com provides more speculation about the MCU's 2020 Eternals movie debut including possible character revelations; Lastly, Prince on Blackish and Tales From the Tour Bus. Call LIVE at 646-915-9620.